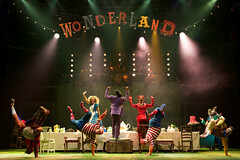 British musician and actor Josh Cohen made his Royal Opera House debut in 2014 co-creating the music with DJ Walde for ZooNation Dance Company’s The Mad Hatter’s Tea Party, revised in 2016 for the Roundhouse. 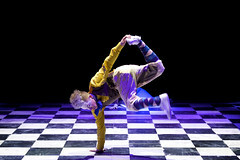 Cohen was born in London and trained at the London Academy of Music and Dramatic Art. He first worked with ZooNation in 2007 as narrator for Into the Hoods and has since returned to collaborate with Walde on the music for ZooNation projects including Some Like it Hip Hop and the short dance film The Holloway Laundrette. Further work as a composer includes the musicals Oz King of Clubs and This is Our Youth Centre. Cohen’s appearances as an actor have included in The Graduate (Gielgud Theatre), The Last Days of Judas Iscariot (Almeida), Smash! (Menier Chocolate Factory) and in the original London cast of Rent (Shaftesbury Theatre). Film appearances have included in X-Men: First Class and The Best Exotic Marigold Hotel. Share the joy in ZooNation’s infectious, hip-hop celebration of embracing all the things that make us who we are. 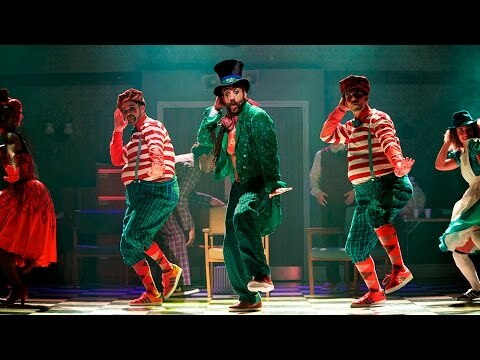 Our quick introduction to this fabulous hip-hop take on favourite characters from Alice’s Adventures in Wonderland, remixed for the unique space of the Roundhouse.